Locke v. Davey. The Becket Fund for Religious Liberty (n.d.). Retrieved from https://www.becketlaw.org/case/locke-v-davey/. Locke v. Davey. (Apr. 04, 2019). https://www.becketlaw.org/case/locke-v-davey/. "Locke v. Davey." The Becket Fund for Religious Liberty. Accessed [Apr. 04, 2019]. https://www.becketlaw.org/case/locke-v-davey/. 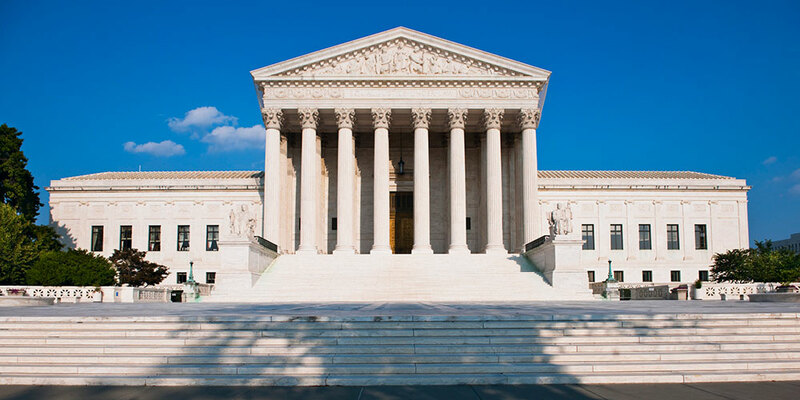 The Supreme Court held that the State of Washington did not violate the First Amendment’s Free Exercise Clause by forbidding the use of state-funded scholarship money to receive degrees in devotional theology. Chief Justice Rehnquist’s majority opinion took note of Becket’s brief, which highlighted the anti-Catholic bigotry behind state Blaine Amendments. (State Blaine Amendments prohibit the use of state funds to support religious institutions such as parochial schools.) The Court concluded that the relevant Washington state constitutional provision (which also forbade the use of tax funds to support ministers) was not sufficiently related to the Blaine Amendment so its anti-religious history was not implicated in this case. American Center for Law and Justice was counsel in this case.